Here are some thoughts from The Cloud of Unknowing on the journey toward true contemplation. Let modest love prompt you to lift up your heart to god. Seek only God. When you begin, you will experience a darkness, a cloud of unknowing. You cannot interpret this darkness. I believe that God, in His good pleasure, will grant you an instant of profound religious experience. The ultimate desire of every believer is to establish a regular and comfortable line of communication with God. Take some time to think about what this unknown contemplative talked about over 600 years ago when he gave this advice to his readers. We are his readers today. O God, all hearts are open to you. You perceive my desire. Nothing is hidden from you. Purify the thoughts of my heart with the gift of your Spirit, that I may love you with a perfect love and give you the praise you deserve. How often do we truly take a good look at ourselves? Introspection can be painful and uncomfortable. Life goes so much easier and smoother if we just plod ahead. A plodding soul never asks questions. A plodder is one who simply walks slowly through life so as to never disturb anything or anyone. Time is never taken to examine the why’s of life nor is the uniqueness of our very creation ever given any thought. A plodder simply gets through the day. 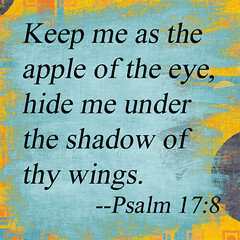 We are God’s special creation and we were created to be the apple of His eye. He wants to hear from us. He wants us to be productive and loving to Him and all that was created. Our challenge is to realize that we are stewards of the creation. Stewardship demands humility and service humility that make us understand the nature of our creation. We are all born totally dependent and fully cared for by God. We are all equals in the sight of God. He doesn’t create some people superior to others. With that equality in mind, we are called to be the salt and light of this world. With the sin of Adam we have invited evil into the world. Because of evil we are quite vulnerable, but God invites us into the very special relationship that is offered through Jesus. When we fully embody the grace offered by Jesus, we learn how to empty ourselves. This emptying gives us the ability to be servants to all. As servant to all we experience a freedom and joy that is like nothing else we have ever known. 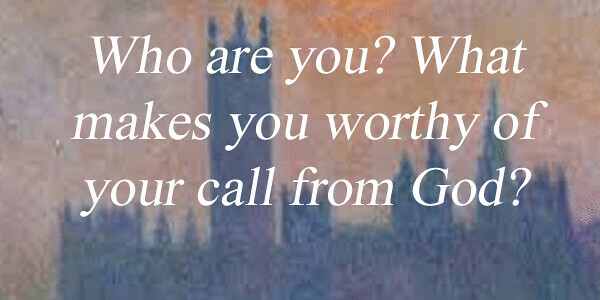 Lord help me to examine myself today and show me your way. Allow me to understand your love -a love that allowed you to sacrifice yourself for me in spite of my perpetual unworthiness. Bestow upon me the grace necessary so that I may bestow love, peace and grace to all that I encounter. Allow your grace to shine through me and forgive me when I fail. He was born blind. A perfectly formed, beautiful baby boy kicking his tiny legs and swinging his arms in a sea of darkness. He had little hope for a quality life in the first century Jerusalem. His father daily led him to his unofficial, but reserved location near a small pool. Others who had forfeited in some way God’s blessing spent their wretched days there – begging. Some days he collected nothing. Some days a hateful boy stole the few pennies resting in his cup. Everybody in Jerusalem knew that either he or his parents had a great sin for which God was exacting vengeance by taking his sight. They all wished they knew what that family had done wrong! One day, just like thousands of other black days, Jesus passed by. He put some mud on those sightless eyes, gave instructions to wash off the mud in a nearby pool, and left the man to respond in faith. At first, he saw a blurry light, then large shapes. He blinked quickly several times. His vision cleared! He could see! Out of darkness! When questioned by religious authorities already concerned about the miracle worker, the formerly blind man could only explain the phenomenon this way: “Only one thing I know, I was blind, but now I see.” What Joy! Many of us born with sight, still have a clouded vision of Jesus. We’ve allowed so much to distort our image of the Savior! The Bible is full of stories of people who did the same. Let’s learn from them. He’d been in the field all day, but as he approached the house, it was evident something big was happening. It was a party! Why in the world, in the middle of the work week, with no previous notice would Father be throwing such a huge party? Confusion gave way to anger when he saw him. So, he was back – the spoiled little brother who took his inheritance and left home to have fun. He’d lost it all! The older brother couldn’t feel relief that his younger brother was alive, joy for his father, hope that things had changed – just ANGER! Jesus was coming for lunch. Martha had peeled the vegetables, cooked the lamb chops, mixed the fruit salad, and baked the bread. She had straightened the house, set the table, washed up all the cooking utensils, mopped the kitchen floor, and dusted the living room. Mary, her sister – sat! Jesus and Mary were talking and laughing and Martha was Jealous. Why did Mary always get preferential treatment from everyone? Jesus was telling Mary and Lazarus about his work, but Martha was too JEALOUS to listen! He was young, handsome, wealthy, – a good man. Although everyone thought he had it all – he knew he did not. He spoke out of a sense of frustration when he inquired of Jesus, “what am I missing? What’s this hole in my heart that my possessions cannot fill?” Jesus suggested he give away all his possessions in order to clear up his priorities. The rich young man wouldn’t even consider the suggestion. He preferred his POSSESSIONS to Jesus. The disciples were riding out choppy waves on the Sea of Galilee. Jesus, not needing a boat, simply walked out on top of the water to join them. Impetuous Peter wanted to walk on water too. What a thrill! Jesus probably chuckled to himself as he gave Peter permission to join him. 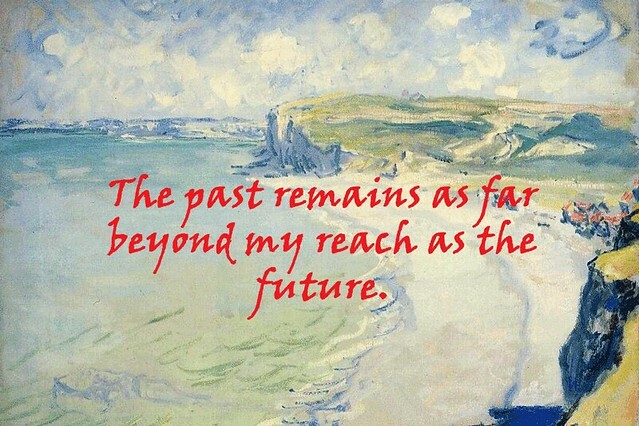 At first, Peter managed the miraculous, but after a few steps he took his eyes off Jesus and began to sink. Panic replaced exhilaration because SELF-RELIANCE replaced faith. Pontius Pilate had a chance to b history’s greatest hero. He had the power to set Jesus free. He knew he should. He recognized his innocence. He vacillated in his judgement, but the crowd won out. Pilate was a people – pleaser. He didn’t want trouble from the Jews and reprimand from Caesar, so he compromised his integrity and ordered the death of the Savior. He made a ceremony of washing his hands of the Messiah’s innocent blood, but OTHER PEOPLE kept him from allowing the stain to be washed from his soul. James and John – brothers looking out for each other. They didn’t feel comfortable with the question, but the obsession for power and recognition over shadowed the guilt. They sucked in their breaths, and non- chalantly asked Jesus for a little favor. The request – to sit on either side of Jesus on His heavenly throne. After all, wouldn’t it be lovely to be recognized throughout all eternity as Jesus’ favorites? How powerful the feeling would be as all the saints of all the ages took note of their importance. Jesus dealt the brothers powerful blow with His reply – they had missed the whole point! Those who find their joy in service are great, not those who find their joy in POWER or RECOGNITION. What clouds our vision of Jesus? Like the blind beggar who responded in faith, let Jesus give you clear sight. What Joy! It is no small pity, and should cause us no little shame, that, through our own fault, we do not understand ourselves, or know who we are. Would it not be a sign of great ignorance, my daughters,(Christians) if a person were asked who he was, and could not say, and had no idea who his father or his mother was, or from what country he came? Though that is great stupidity, our own is incomparably greater if we make no attempt to discover what we are, and only know that we are living in these bodies, and have a vague idea, because we have heard it and because our Faith tells us so, that we possess souls. As to what good qualities there may be in our souls, or Who dwells within them, or how precious they are — those are things which we seldom consider and so we trouble little about carefully preserving the soul’s beauty. All our interest is centered in the rough setting of the diamond, and in the outer wall of the castle — that is to say, in these bodies of ours. Long ago the mystic Teresa of Avila told the sister of her convent a simple fact that so eludes us today. We are all self-centered. So much energy is expended in keeping our bodies in shape, building our self-images, removing negativity from our lives and tracing our ancestors that we give little thought to the soul that God created. 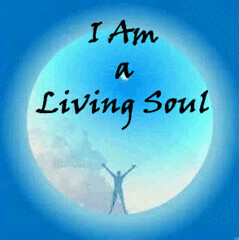 Each of us is a living soul created in the image of God. Before you ask, I cannot define precisely what the image of God is. If I could, I would be God. I will say that God created us in His image so that we might be light and life to this world. We bring light and life by recognizing the beauty that He has created. Self-love is a good place to begin. Without self-love it is impossible to love anyone else. The scripture says, He (Jesus) said to him, “You shall love the Lord your God with all your heart, and with all your soul, and with all your mind. This is the greatest and first commandment. And a second is like it: You shall love your neighbor as YOURSELF.” Self-loathing and self-hatred are poison. These two rob us of our very souls and allow the evil one to become master of our lives as he promises to fix things. We are tempted to blame others for our failures and lack of success. If our relationships seem to be going wrong then it just has to be someone else’s fault. Maybe it is God’s fault because He created us after all. Our challenge is to see the beautiful soul that He created, and the beauty of the other souls that surround us. The attitude of beauty allows us to be overcomers. Power is allotted by our creator for us to face the challenges of the world and to help others do the same. The life of a soul who recognizes its worth beyond this body is invincible. That soul has the ability to accept forgiveness and to give forgiveness, the ability to understand that humility is not self-depreciation, and the courage to stand tall when all others are shrinking away. Such behavior can make us heroes, role models and leaders. We can become modern day “Pied Pipers” for the love of God. The world love the one who marches to the beat of a different drummer. Let us move inward to the greater part that God put in us. 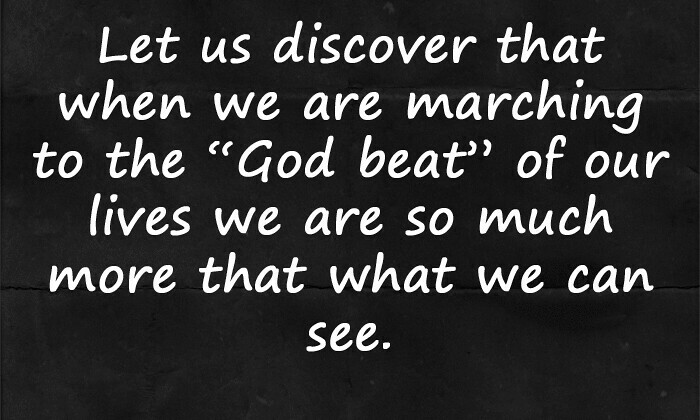 Let us discover that when we are marching to the “God beat” of our lives we are so much more that what we can see. Relish the mystery that YOU are a living soul created by God. Stop trying to analyze things and just live life in the spirit which allows us to be the light and life of the world. Lord help me to put down the crutches of self-sufficiency and self-hatred. These are mere excuses that hold me back from discovering my true potential as a soul created by God. It is not easy to trust in something I cannot see or explain but it is key to becoming all that I can be.